Gayatri Chakravorty Spivak is one of the most pre-eminent postcolonial theorists writing today and a scholar of genuinely global reputation. 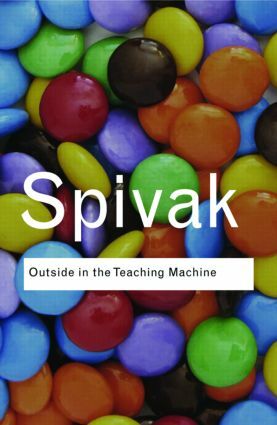 This collection, first published in 1993, presents some of Spivak’s most engaging essays on works of literature such as Salman Rushdie's controversial Satanic Verses, and twentieth century thinkers such as Jacques Derrida and Karl Marx. Spivak relentlessly questions and deconstructs power structures where ever they operate. In doing so, she provides a voice for those who can not speak, proving that the true work of resistance takes place in the margins, Outside in the Teaching Machine.